» Articles » Sharp Tips » When Should I Cut Back My Rhododendrons? When Should I Cut Back My Rhododendrons? 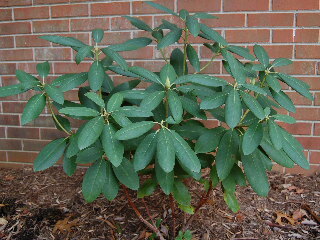 This is the most commonly asked question about the maintenance of rhododendron plants. The reason being that rhododendrons require little else in the way of care, other than an occasional light pruning, in order for them to have long, healthy, and productive lives. Rhododendrons follow basically the same rules for health and vigor as the azaleas do. Rhododendrons and azaleas both need filtered sunlight, adequate moisture, and an acid soil for long life and happiness. The acid soil can be encouraged by mulching with pine needles or oak leaves, and also by adding special rhododendron and azalea fertilizers available at your garden center. And, since the plants are rather shallow rooted, be careful not to dig or disturb the area around the base of the plants with your temptation to add bulbs or annuals nearby. So--that brings us back to our primary maintenance consideration of when and how to prune our rhododendrons. 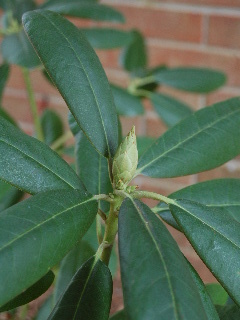 Rhododendrons (and azaleas) set their bloom buds during the summer growing season for the blossoms that will appear on the plants the following spring. For this reason, we don’t want to prune in the summer or in the dormant time of late fall or winter, as we will remove many of next year’s bloom buds. The best time to prune is during the period of late spring just as the blossoms are fading out. This way, we can basically deadhead (remove the spent blooms) and shape up the plants all at the same time. Look for any dead or dying branches and snip these out with your pruning shears as you give your rhododendrons a late spring clean up. And take this opportunity to shape or redefine your plants if they’ve sent out any irregular branches that disturb the symmetry or aesthetic appearance of your rhododendrons. If your rhododendrons have gotten too large or ragged from years of neglect, it might be time to do some severe pruning by boldly cutting the plants back to a height of 2 to 3 feet. You probably won’t have any blooms for a year or two after this drastic surgery, but it might be just what your older rhododendrons need for rejuvenation. Add a bit of azalea and rhododendron food and mulch the area well, after your pruning is completed, in order to send your plants along on their merry way.